In March of this year, we made a move from downtown Greenville to our new space just off of I-85 and Pelham Road. 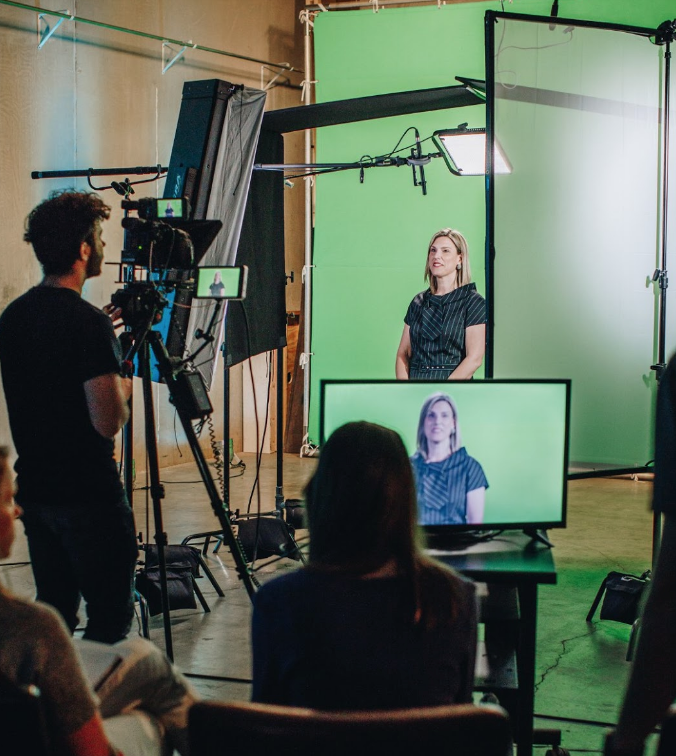 Our new location features a full production space complete with lighting grid, permanent green screen, and a client viewing area. We also have all of post production under the same roof, with plenty of space for live edits and lots of snacks! We’re really excited about the opportunities this new space opens up for all of our clients. 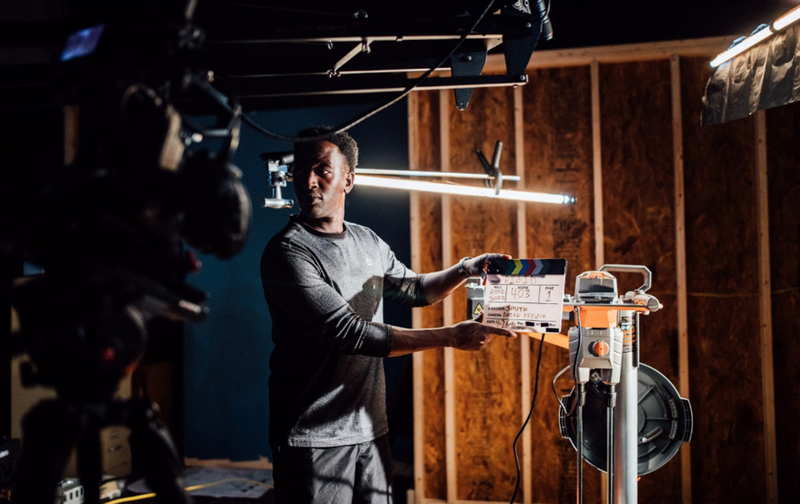 Over the past few months, we've been able to tackle numerous green screen shoots, and also build several full sets specific to our clients' needs. Having the soundstage available gives us not only flexibility, but also complete control over all aspects of sound and light. For Set Free Alliance and Doodle Alliance, we built a full set complete with hardwood floors and light streaming in through a window. 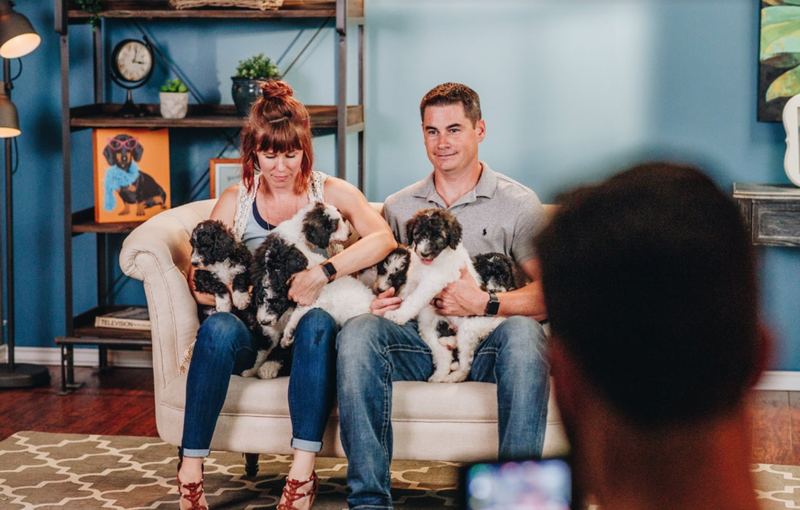 This gave them a warm space to share their story and it also gave the puppies plenty of room to play! This was a large setup with a lot of details, but with the right space, a little bit of time, and some brilliant creative people we were able to create the perfect environment for this project. 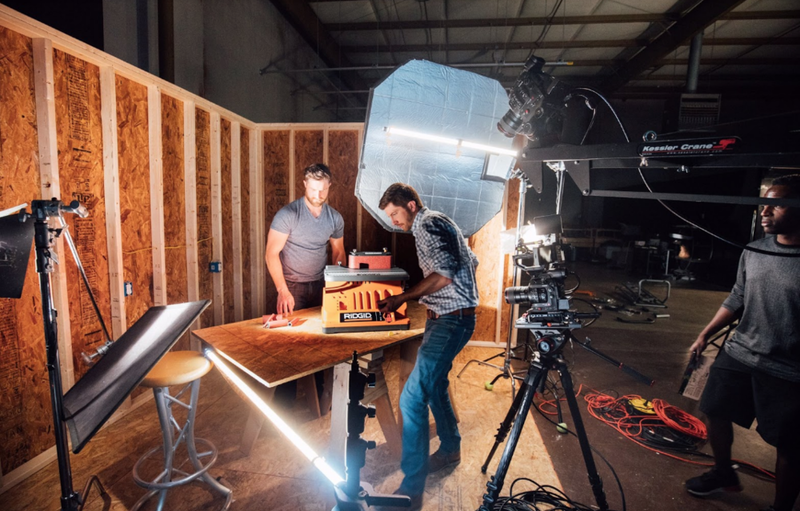 Torque Creative constructed and brought in a full stud wall corner and MDF Floor for us to shoot in to showcase some of the new tools in their RIDGID Line. For this shoot we were able to experiment with hard light and really use the space by using a 12' crane to get some overhead shots highlighting specific aspects of their products. 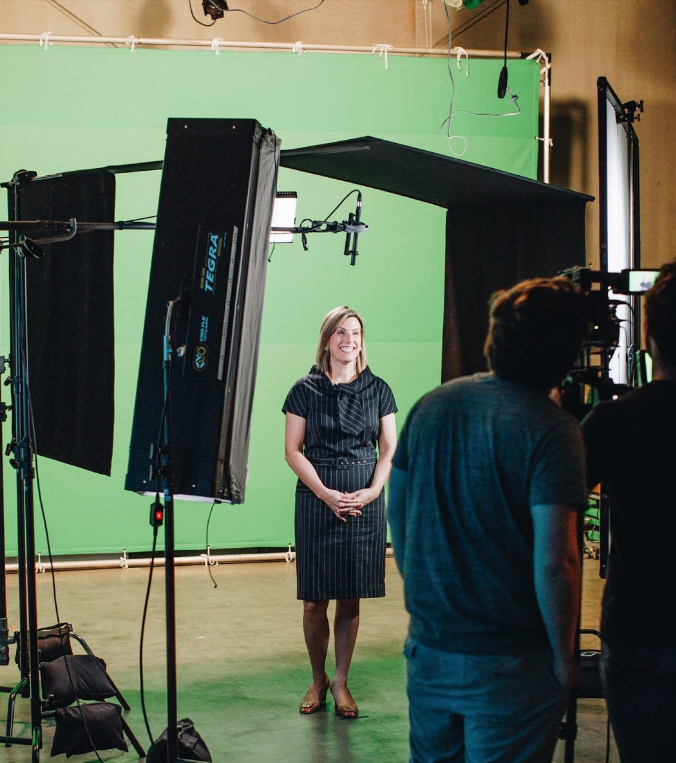 We have also had Coldwell Banker Caine visit us to take advantage of our green screen for their “Market Update” video projects. For these, we make use of our greenscreen and our teleprompter, and we also have client monitors ready to go for everyone who might need to get a closer look at the shot. We love having a place where our clients can come be a part of the entire creative process and see it all come together every step of the way! Stop by and check out our new space at 40 Commerce Center, Greenville S.C. 29615. We’ve got plenty of snacks! Check back in for more in depth write ups on these projects and more!